Today I’m so delighted to introduce the Canadian author Chris Galvin Nguyen. 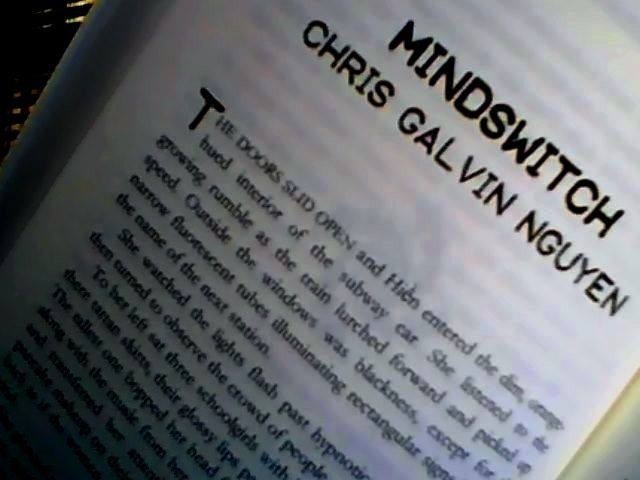 She’s written a lovely blog post about her short story “Mindswitch” in the amazing anthology Impossible Spaces. Chris is an author, editor and photographer with one foot in Canada and one in Viet Nam. She writes fiction, nonfiction, and poetry too. Chris’s writing and photographs have appeared in a number of anthologies and magazines, including Room Magazine, Tuck Magazine, Descant, Asian Cha, PRISM International and others. She is currently working on a book of essays about Viet Nam and putting together a short story collection. I met Chris on Twitter about one and a half years ago, when I was still unsure about whether writing for publication was something I should try out or not. In addition to offering support and being a good advisor, Chris has helped me a lot with my language, something I’m forever grateful for. She’s a wizard at finding good synonyms and helping a writer out of the quicksand of impossible sentences. Chris writes with a lovely poetic language, and I’ve enjoyed both her short stories and nonfiction pieces. I’m very pleased to have stories in two anthologies with her: The coming Fox Pockets: Guardians from Fox Spirit Books and Impossible Spaces, published by Hic Dragones earlier this year. 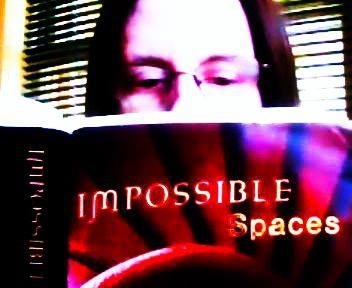 I loved her story in Impossible Spaces, so I asked if she would write about it in a blog post, and she did! I’m so happy to show you this. 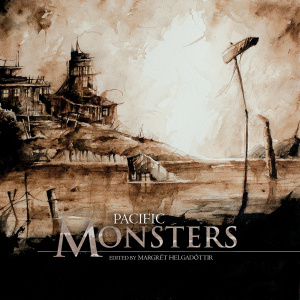 Thanks so much, Margrét, for inviting me to talk about “Mindswitch”, my contribution to Hic Dragones’ recently published anthology Impossible Spaces. I’d also like to extend my thanks to Hannah Kate and Rob Shedwick, the fine people who put this beautiful anthology together. You asked me about why and how I write short stories, the inspiration for “Mindswitch”, and my thoughts on the plot. I write a lot more literary nonfiction than fiction, and my approach is different for each. This isn’t surprising, since most of my short stories tend towards the weird or slipstream, while my nonfic is mostly essays. When I write stories, a whole plot may come to me already developed, or I may start with just a feeling, such as “I want to write something totally bizarre” and without any idea where it’s going, I begin. The words coalesce into something and I follow along, not knowing the ending until I get there. Often, once I’ve finished writing a story (or an essay), I’ll feel it still needs something. For this reason, I like to let fresh writing cool down for a while, so that I can gain objective distance. Returning to a story after it’s been in cold storage, I’m amazed at the new ideas that pop up for improving the piece. It might be something quite simple, like a better, more suitable word for something, or a change to the rhythm or lilt of a sentence. Sometimes, as with “Mindswitch”, a bigger change is needed. The original inspiration for this story came from the title. I usually only decide on a title after I’m well into writing a piece, but in this case, I was mulling over some other ideas when the word mindswitch popped into my head. I felt the pull of liminal spaces and the possibilities of crossing impregnable boundaries that the word suggested to me, and imagined a soft SF story or a psychological speculative fiction piece. As I wrote, it leaned towards the latter. Then, as stories will do, it took off in its own direction and into the realm of the slipstream. Originally, the main character was a man, but something was lacking. I gave him a name, but it felt random. He was just some businessman—an average thirty-something, middle-class Caucasian—and the story lacked strength. That man has been in too many stories already. Though I’d written the entire piece, it was missing a raison d’être. It needed that drop of magic that answers the question “why should the reader care?” The mindswitching was interesting, and there was tension, but why was it all happening? I put the story aside and then one day, I thought “maybe the MC is a woman” and then “who is she, exactly?” Suddenly, the story began to take on the meaning I’d been looking for. Before, it had merely been a tale about a strange recurring switch of minds between the man and some other people riding the subway. But then he became she and I named her Hiền, a Vietnamese name meaning gentle, mild, sweet or meek. The name gave me the rest of the story. Hiền is an unassuming woman who lives alone with her dog, and whose life revolves around her work, which leaves her no time for anything else. She had immigrated years before and has mostly assimilated to the new culture but pretty much keeps to herself, and still sometimes compares her present surroundings with the country she grew up in. I haven’t named the city she lives in; it could be any one of the North American, European, Australian or other cities that seem to offer a better future to people from less developed countries. Hiền has, like many Vietnamese in real life, grabbed an opportunity to move to one of these places, but in search of gain, much is lost. Her job is an alienating experience: the boss is only interested in production and profit, the building is muted and distancing, Hiền’s office is windowless, and she has little contact with the other workers. Her family is far away, and their ways are no longer hers. She is, in effect, invisible. The daily ride on the subway (which I modelled after Montreal’s Métro system) is alienating too. Though Hiền is going through intense internal turmoil, no one seems to notice. As people do on public transit, her fellow passengers stare off into nothingness or into their books and devices. Stories about the difficulties immigrants face (losing identity; the robotic daily grind; the meaninglessness of life that many fall into as they struggle to make ends meet or send money back home) are usually told in a mainstream realist style. Douglas Thompson (whose story “Multiplicity” appears in Impossible Spaces) says on his blog that “‘Speculative’ fiction gives a writer the ability to tackle bigger social issues more effectively than almost any other ‘genre’.” I feel this is particularly true for writing about alienation and loss of connection, which by nature are surreal, slipstream experiences. “Mindswitch” looks at the profound sense of separation that immigrants so often suffer. It also looks at how we tend to accept where we are in life when sometimes it’s better to take a risk and let go, and how we let circumstances hold us back because we feel we can’t change things, sometimes in the process holding others back as well. Through all of this, I wanted to look at our connection, or lack thereof, to the universe around us. Are we all separate from each other and from everything, or is everything interconnected? Hiền is the central character, but at times she’s an observer as well. Distanced from her “self”, she observes the other subway riders from the inside, and herself from the outside. When, in the depths of her existential crisis, Hiền finally lets go, it feels as if she is letting go of reality; as if she is losing her mind. But in fact, she is changing her mindset, making a mindswitch. For the first time, she connects with something, connects with herself, and feels the interconnection of everything. She realizes she is not alone, not just a tiny separate event in a vast, indifferent universe, but rather a part of it all, and that those who make her feel separate don’t matter. Margrét, you said you imagined the scenes in “Mindswitch” as small film clips. I love this idea! And perhaps it’s not far off the mark. For the last scene, I had in mind a literary version of a cinematic extreme long shot. The camera slowly pulls back to reveal the entire surroundings. For most of the story, the camera is focused on tiny, claustrophobic settings and then this long shot is very freeing. While one might think close settings and spaces would be most intimate, they are sometimes the most alienating; an occupant may feel there is no escape. A person trapped in dense brush may not realize that there is wide-open space just beyond the brush. Believing there is no escape, that person might not even try to get out. When the camera pulls back, Hiền has the space to start questioning herself and finally to find a greater connection. The final mindswitch is the biggest one. 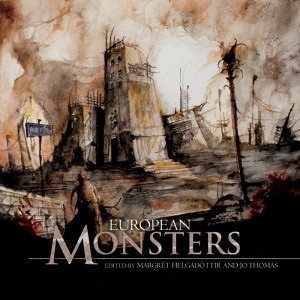 Thanks again, Margrét, for hosting me on your blog. 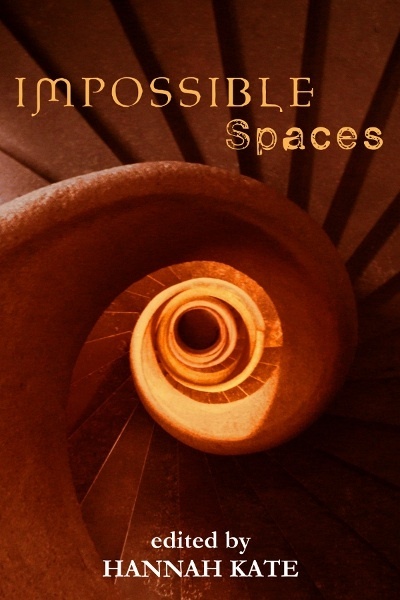 It’s such a pleasure to share the space with you and the other writers in Impossible Spaces. Thank you so much, Chris, both for the lovely post and the kind words. Best wishes for your project and writing. Hope those words will fly! Thanks so much, Margrét, for inviting me over to your blog to talk about my story in Impossible Spaces!